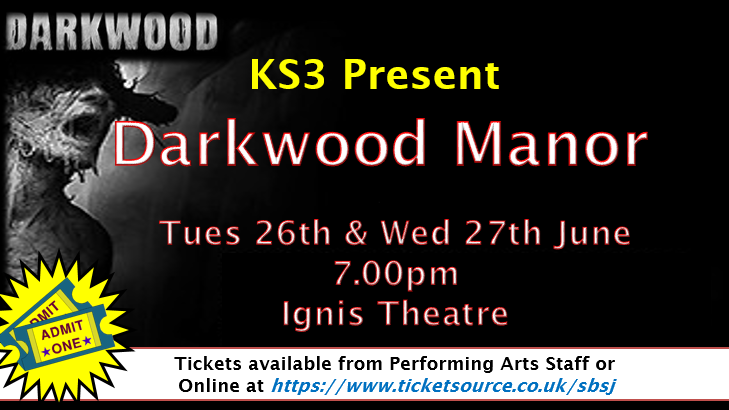 This Year’s KS3 show is Darkwood Manor and will be performed on Tuesday and Wednesday the 26th/27th June in the theatre on the Ignis site. A property developer has come to investigate a potential money spinner: Darkwood Manor. The house has stood for hundreds of years but now lies empty. Yet why do the locals refuse to talk about it? What secrets does the house hide? The Ks3 show this year sees 60 pupils explore the history of the house through physical theatre, roleplay and dance. Visiting year 5 pupils will get to see an excerpt from the show during their visit to St Bede's and St Joseph's Catholic College over the next two weeks.